Among those longest-running, most treasured online browser games of all time is finally migrating to mobile devices. On Monday, RuneScape programmer Jagex revealed that both the contemporary and old school versions of its classic MMORPG is going to be available to download on tablets and phones this coming winter. 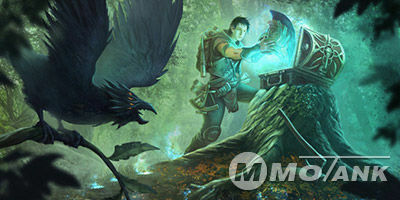 "This is really a step change for MMORPGs and a sign of Jagex's intent to continue to push the boundaries of live matches," stated Phil Mansell, Chief Operating Officer, Jagex. "The RuneScape names will become the first mainstream and recognized Western MMORPGs on mobile in full, and also the first to deliver interoperable play between PC and mobile platforms. We believe in taking our matches to where our players need them; current participant surveys showed an overwhelming 90 percent of active players and 64 percent of players telling us of their very higher intent-to- play mobile." RuneScape first introduced to the general public in January 2001, and has since gone on to collect over 200 million registered accounts. Based on Jagex's new landing page for RuneScape on cellular, the interface of this game was optimized for mobile devices. Cross-platform play will be possible between desktop and mobile players also, so whether you are out and about with your telephone or sitting at home on your computer, you will be playing at the same world with the exact characters.